Asserting that safety must become the number one priority of every live event producer, Scott Carroll, Executive Vice President & Program Director of Take1 Insurance, today said that there are five vital steps that should be followed when planning any live event. According to Carroll, the first step to take to ensure a safer live event is verifying that all vendors have insurance policies with contractual capabilities to make anyone an AI to their policy. Each vendor should be able to produce proof of insurance, and asking a few simple questions about their coverage can highlight potential coverage gaps or inadequacies. Second, for outdoor events Carroll advises that producers fully understand the terrain. 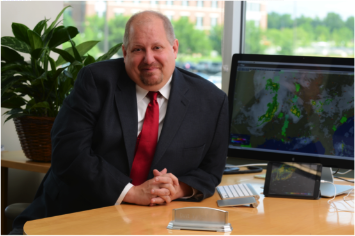 Producers should use on-site weather monitoring tools to stay ahead of any potential storms. Powerful apps for smartphones and tablets show wind speed, direction, and approaching rain, but for larger more sophisticated shows and venues, actual on-site weather monitoring personnel may be best. Third, identifying stakeholders behind the vendors is also important when ensuring event safety. “Who has the authority to stop the show should equipment fail or inclement weather becomes a safety issue? Find this person and meet with them to determine a decision timeline,” he added. Fourth, customer-facing vendors such as concessions, security and parking companies typically have the most exposure to incidents because they touch virtually every spectator and show personnel. Vendors should always be chosen based on which company has a safe and successful track record, not whichever company offers the cheapest bid. “Choosing the right vendor can be the difference between smooth sailing and a huge headache,” Carroll added. After nearly two years of development and the input of hundreds of industry, regulatory and safety professionals, the Event Safety Alliance (ESA) today announced the forthcoming release of the Event Safety Guide — the live event industry’s first comprehensive reference guide of established industry best practices. According to Jim Digby, Executive Director of the Event Safety Alliance, Version 1.0 of the Guide will be available at the LDI 2013 Conference and Tradeshow in Las Vegas (November 21-24) at Booth #2363. According to Chester Bennington, lead vocalist of multi-platinum rock band LINKIN PARK, “I'm extremely proud of you, Jim, and the immense amount of work you and your colleagues have put into this historic moment. I'd like to express for the entire music community, both professional and nonprofessional, our gratitude to the ESA for considering our safety, the audiences safety and the well-being of all by insuring that every possible consideration for venue and operational safety and security have been assessed by the industries' top professionals. The tragedies that will be prevented by your unwavering dedication to all of our safety means that the work of the ESA will — in the greatest way — go unnoticed as we go home each night without incident." Printed editions of the guide will be available for purchase on the Event Safety Alliance website next month. Additionally, eBook versions of the Event Safety Guide will be available for download at several online retailers including Amazon, iTunes and Barnes & Noble. Both formats of the guide will be sold for $49.95, with proceeds from all purchases helping the ESA develop additional resources and further the message of “life safety first." “From the very beginning, our goal has been to have the Event Safety Alliance become the industry’s preeminent safety advocacy trade association," continued Digby. “By making the guide available at a cost below most publications of this type, we believe we can continue to grow the ESA while making sure this critical information is user friendly and gets into as many hands as possible." Developed in response to a series of accidents within the live event industry, the Event Safety Guide is a collection of best practices culled from the experience and insight of top professionals within the event industry, as well as relevant life safety standards currently applicable by groups such as OSHA, NFPA, ICC and PLASA. Prior to the Event Safety guide, no such comprehensive collection of guidance existed that industry professionals could refer to covering many of the unique hazards the industry faces. Modeled after the U.K.’s “Purple Guide”, the Event Safety Guide is intended to serve as a one-stop reference to help users ask the right questions while planning for and managing events. It addresses a broad range of topics relevant to most events including emergency planning, weather preparedness and personal protective equipment, as well as technical issues such as temporary staging, rigging and special effects. The guide has been intentionally designed for field use, written in straightforward language with contents organized topically to aid in quick access to information.